Saturday night, ALISN – an artist-led organisation – presented ‘Off the Clock’, an exhibition featuring artists, who have assisted other well-known artists. The works in ‘Off the Clock’ included paintings, illustrations and sculptures. Yet, the main focus of the exhibition seemed to be the artist’s assistant, a role typically obscured by the fame of the main artist. ‘Off the Clock’ takes notice of the lack of recognition of artist’s assistants. In fact, it is done rather well – in part – by a display of emails framed in wood, of responses from major artists. ALISN reached out to artists whose former or current assistants were asked to exhibit works in ‘Off the Clock’. Some of the emails actually praised the assistant. There was, for example, a direct quote from Sir Anthony Caro lauding Gary Doherty for his ten years of assistance. Other artists, however, responded via employees of the gallery or organisation in which they worked. Many of the pieces in ‘Off the Clock’ relayed a common theme of desolation. 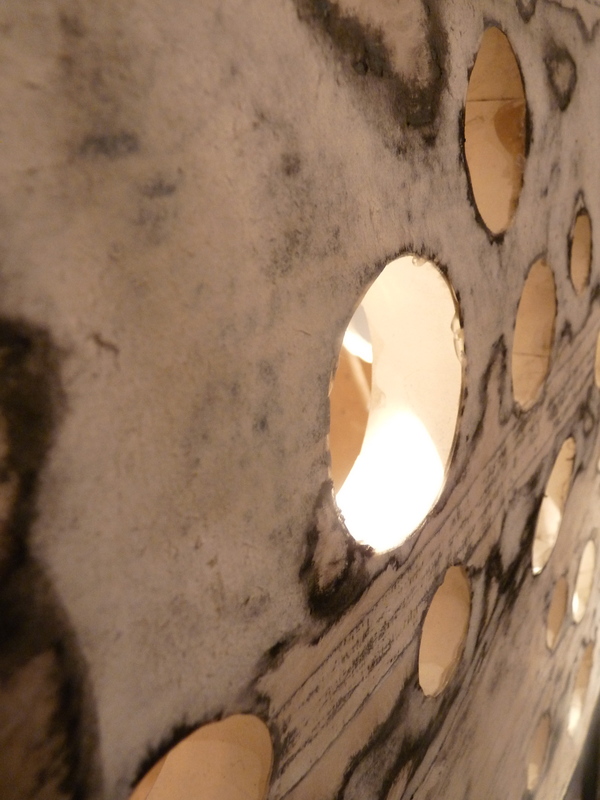 Benjamin Deakin, who assists winner of the 2002 Turner Prize, Keith Tyson, created an illustration of a jagged hole in the ground. By looking closely, one can just see the faded stencilled words that read ‘DEAD ARTIST’. The drawing depicts an open grave, and ghostly figures seem to dance in and out of the detailed illustration. 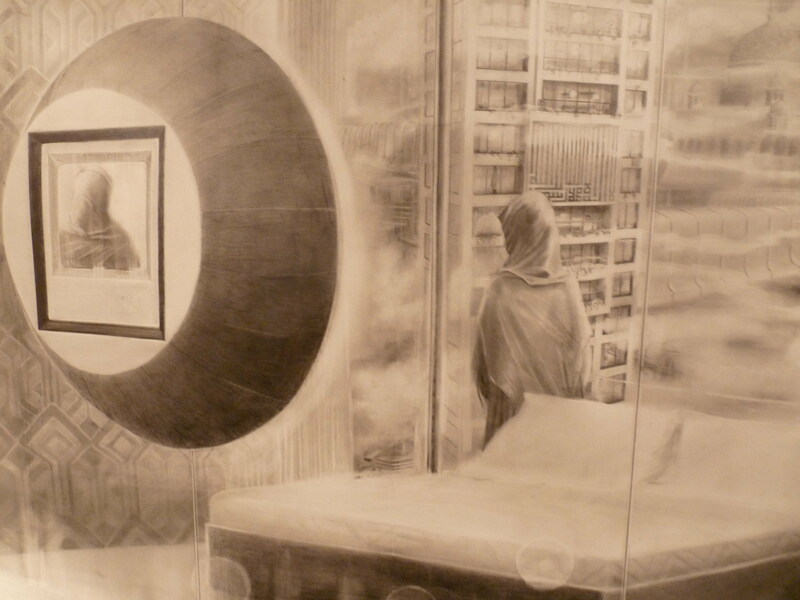 Gary Doherty’s large drawing depicts a loan woman looking over a city that she seems very much disconnected from. However, the second image of her in the illustration that appears at the end of a tunnel-like hole indicates that she is somehow watching herself rather than the city. Reuben Negron’s painting was of a half naked woman alone in a room. His use of watercolours and gouache were interesting, giving the painting a graphic novel feel. The images come to life, creating a certain measure of intensity within the loan figure as she pleases herself in bed. Yet, perhaps the most obvious feeling of desolation was the painting by Allison Edge, who assisted artist Jeff Koons. 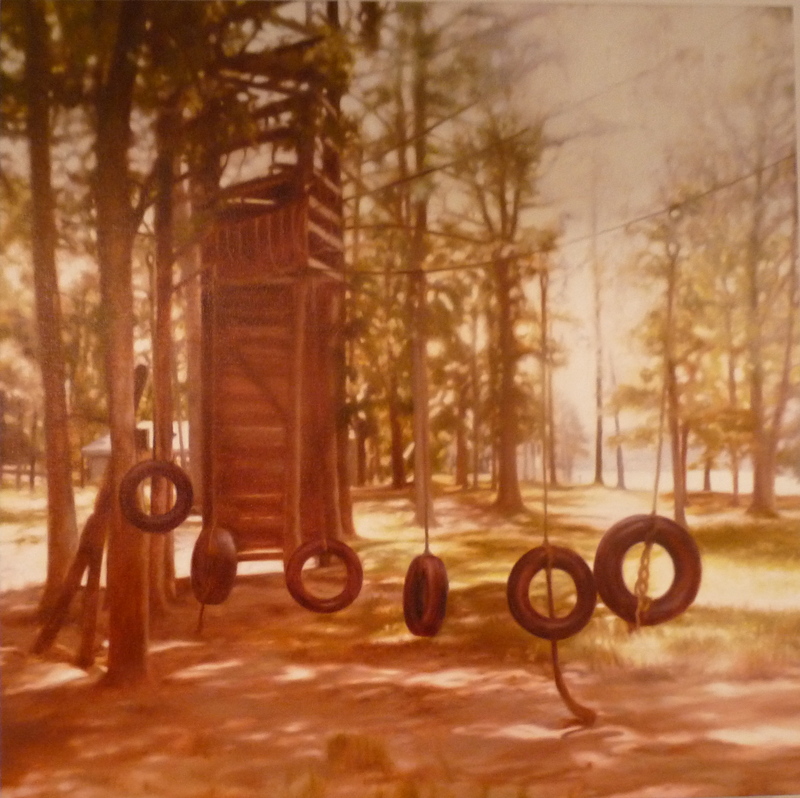 Part of her Magic Forest series, Camp Thunderbird, oil on canvas, depicted a campground scene with several tire swings hanging off of a rope. Edge’s painting has a magical and eerie feeling, and one is compelled to ask why no children or people inhabit it at all. Yet, the pieces, which depicted certain ghostly characteristics, were offset by some equally interesting sculptures. 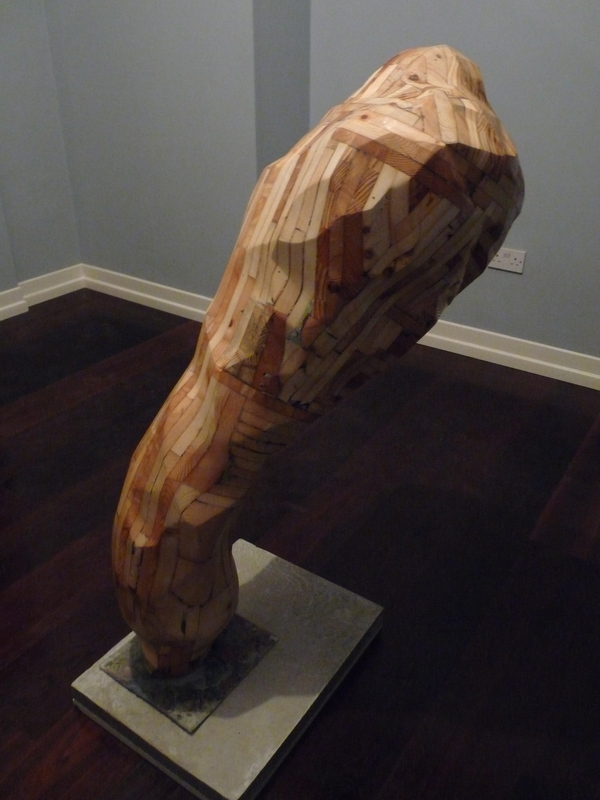 Daryl Brown’s Mother and Cat was a sort of Escher-esque sculpture of wood. With Brown’s recent Judo Series in mind, it is interesting to see how the artist continues to play with gravity. The sculpture, though seemingly heavy on the top is held up by a single metal pedestal, which disappears into the bottom of the piece. Brown has assisted artist Gereon Krebber, who won the Jerwood Sculpture Prize in 2003. 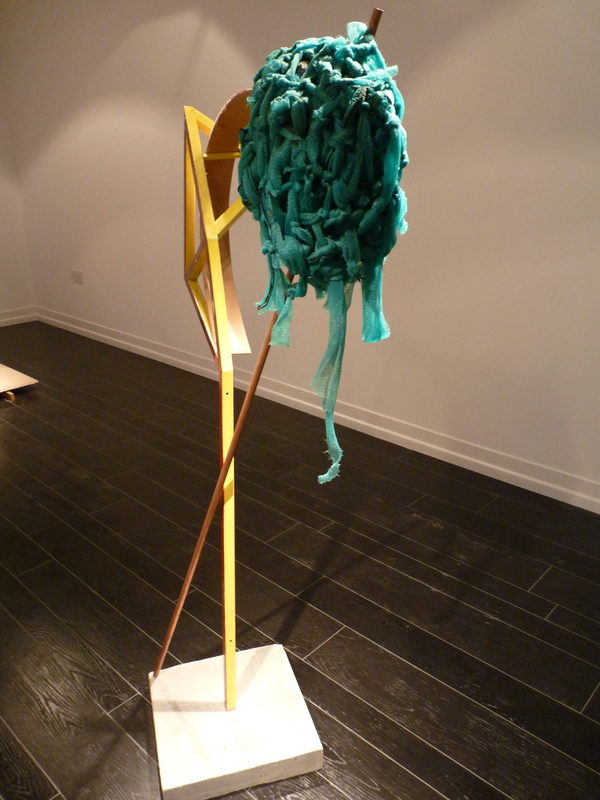 Another sculpture, which evokes discussion, is Alison Gill’s Stray Object. A model of a tiny brown bird with a broken wing is in the centre of a large cube. At first, one may think of a bird within a cage, except that the large box-like cube has holes carved in varying sizes, allowing the bird to escape once he is mended. Gill’s approach asks viewers to contemplate the bird’s circumstance and the bird’s fate. Gill has assisted YBA member Gavin Turk, who, in a strange turn of events, will assist her on a sculpture in one of the upcoming exhibitions. Matt Blackler’s work with wood seems to speak loudly of nature. The round wooden pieces, at first look, seem like slices of a tree – something a lumberjack would produce. A closer look reveals that the wood has been manipulated in such a way that perhaps alludes to one of its former states. Blackler, who assists Gordon Cheung, often works with wood, creating sculptures that require a great deal of physical work. Other artists whose work will be shown in ‘Off the Clock’ are Rachel Beach who has assisted Roxy Paine, Jason Bryant who has assisted Kehinde Wiley, Sy Hackney who has assisted Eamon Everall and Jenny Morgan who has assisted Marilyn Minter. The smell of wood was unmistakeable. The space was filled with bits and bobs, an old table, a repaired wooden chair, a u-shaped tangle of wires suspended from the ceiling, orange-handled saws hanging from the wall and clean make-shift white pillars that displayed tiny spherical sculptures in orange and brown. In many ways, it seemed perhaps the average work space for any young artist. But it also had character – the mark of one particular sculptor. Like the artist who works within, this studio is – in part – tucked away and not easy to find, but expressive and creative, a treasure on the east side of Hackney. Daryl Brown is the quietest figure in the room. His knick knacks all speak loudly, but his voice is gentle and unassuming. He talks about his work with a sort of understated humility. I explain to him what I’m working on and he responds with a series of sympathetic head nods letting me know that he is willing to join the myriad of hard-working and passionate young artists I’m writing about. He describes the motivation for his recent works, the Judo Series. 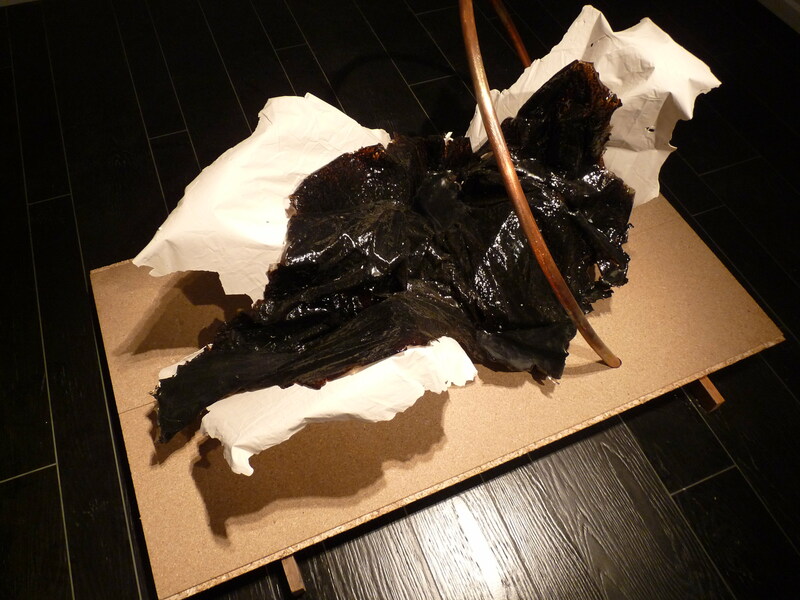 The pieces are inspired by a book on Judo – an ancient martial art. 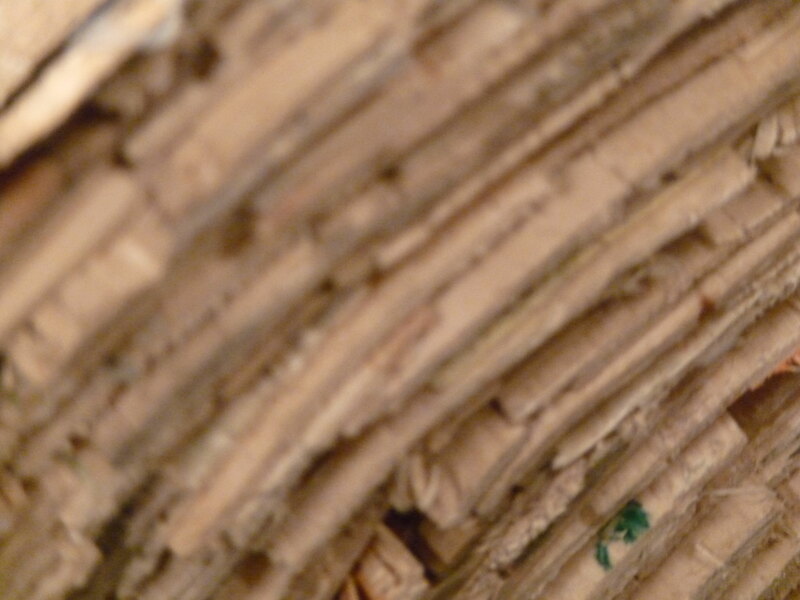 And like the figures that move within its pages, Brown’s pieces are organic, flexible, creative forms. At his exhibition in the Magnificent Basement, the pieces sat under light, which highlighted the taut muscular bend of the wood as it seemingly defied gravity. The light bounced off of the reflective surface of the slick blackness of his cradled figure. Inanimate or not, there’s something human in each of them. Brown’s pieces breathe as if they were alive. And in and around the sometimes austere display, the artist was as undisturbed then as he was sitting before me in his studio. I wondered not for the first time if, ironically, he was recreated by his pieces. Had his work somehow defined him even as he left them behind to explore a new idea? His experiences as an artist in London derive much from his encounters as a student. But his desperation caused him to go back to the University of East London, where he received his degree, to use the space in order to continue creating. After being independently approached from students at university, he was asked to be a part of a show. When Brown likened his experience during that time, working with another artist, as an apprenticeship – it was no surprise. Brown’s whole demeanour speaks of modesty. He lauded ALISN – an artist led initiative – for the consistent support they’ve given him, especially in regards to his exhibition at the Magnificent Basement, which they sponsored. “I was very much championed by ALISN,” he said, warmly. He contemplated for a moment when I asked him about the artists who inspire him. Surrounded by sculptures, I didn’t expect him to mention painting – but he revealed a soft spot for the art in his slight smile. A big fan of Francis Bacon, his modesty again showed no bounds. Yet, despite his unassuming nature, Brown has very strong feelings about the type of artist he wants to be. Working as a technician at Havering College and paying £110 a month for studio space, he isn’t always certain about the future or even about his own evolution as an artist. Brown says this with a smirk, as if he’s just been caught with his hand in the cookie jar. It becomes clear that despite the hardships, he finds creating art worth every minute. Some of Brown’s current work will be exhibited this coming Saturday, 9th October at the Magnificent Basement in London from 7:30pm.